In 1989, L-Acoustics introduced the first coaxial loudspeaker enclosure for professional sound reinforcement, bringing studio quality to near-field applications for the first time. Since then, coaxial technology has been implemented in all L-Acoustics point sources and constitutes the heart of the P Series and X Series. 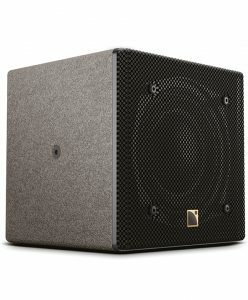 5XT offers the pristine, powerful L-Acoustics sonic signature in an ultra-compact 5-inch enclosure. Packing a punch with high MF/HF SPL, the 5XT complements any larger sound system in front-fills or distributed applications. Its wide conical directivity pattern gives smooth off-axis response - assuring the best sound where most of the audience is located. Available in a wide variety of custom colors, the 5XT can be easily integrated into any building style for ultimate discretion, satisfying the most demanding architectural needs. Rigging options include wall mount, ceiling-mount and pole-mount in various orientations for integration into any possible situation.